Low crude oil prices are taking their toll on national oil company PetroSA, and the Auditor General has raised concerns over its ability to continue operating in future. The Auditor General of South Africa briefed the portfolio committee on energy on the audit outcomes of the department of energy and its entities for the 2017/18 financial year on Tuesday. The report showed that three entities – the National Nuclear Regulator (NNR), The South African Nuclear Energy Corporations (Necsa) and its subsidiary Pelchem – had regressed in terms of their audit outcomes. The remaining entities, as well as the department's audit outcomes, remained unchanged from the previous year. "Material uncertainty exists" whether three of the auditees can continue to operate in future, the report read. They are Petro SA, Necsa and Pelchem. The Auditor General flagged the following factors dampening the entity's prospects: PetroSA's deficit for the year; "continued weak crude prices", which are expected to persist in the near future; as well as increasing debtor's collection periods "putting strain" on its cash inflows. Additionally, capital expenditure required to complete a statutory refinery shutdown will further deplete cash reserves, the Auditor General said. Fin24 previously reported that the Hawks were investigating a case of fraud and corruption by senior staff members of PetroSA. The entity reported a R1.4bn loss for the 2016/17 financial year. 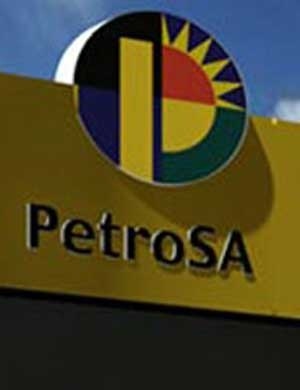 PetroSA received an unqualified audit opinion with findings. Of Necsa, the Auditor General said, "There is uncertainty regarding Necsa's ability to continue as a going concern. Current liabilities exceed current assets [by R153.1m] and the entity achieved an assessed loss [of R132.9m] for the end of the financial year." The entity's accumulated losses amounted to R510.7m over the past five years. "The entity has adverse liquidity ratios with cash deficits being forecast for the next financial year," the report read. The entity received a qualified and disclaimed audit opinion. Things aren't much better for its subsidiary Pelchem, which continued to make losses. It now has an accumulated loss of R207.9m. "The entity has adverse solvency and liquidity ratios and is significantly dependent on Necsa," the report read. Pelchem received a qualified and disclaimed audit opinion because of uncertainty of its ability to continue as a going concern, among other reasons. Last year Energy Minister Jeff Radebe dissolved Necsa's board over a number of governance failures, Fin24 previously reported. The former board chairperson, Dr Kelvin Kemm; the group's suspended CEO, Phumzile Tshelane; and the former chair of the board’s audit and compliance subcommittee, Pamela Bosman, are challenging the minister's decision. Most recently, their urgent court application to review the minister's decision was struck from the roll as a matter of urgency. During the briefing, chair of the portfolio committee Fikile Majola commented that the issues of Necsa and Petrochem were "of great concern" and wanted the issues to be addressed before Palriament rises. "What is evident is that the outcomes of the audit opinion reflect deeper problems in the operations of the entities and in their business models," he said. The Auditor General's report also showed that overall unauthorised expenditure – due to overspending of the budget – amounted to R50.6m. Fruitless and wasteful expenditure – incurred in vain – amounted to R10.8bn, while irregular expenditure - incurred through non-compliance of legislation – amounted to R108.2bn.